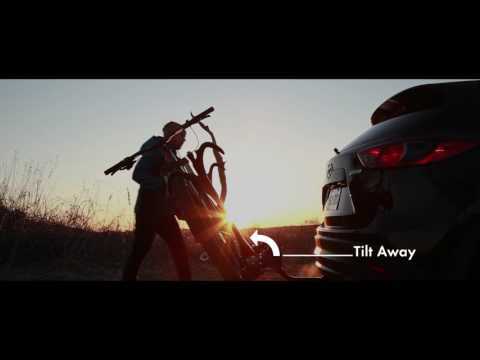 Built ground-up to be the safest, toughest and lightest 4-bike platform hitch rack on the road. No matter where you go, this car rack is up for the challenge. For fat bike tires wider than 4"
When adventure calls, you need a hardy bike rack to get you and your collection of bikes there. That’s why we built the SuperClamp 4-bike from the ground up to be the safest, toughest, and lightest 4-bike platform hitch rack on the road. It all comes down to its super compact design, with two bikes carried on a single horizontal bar. Plus, each bike rack undergoes unparalleled testing in the heart of tundra country – meaning, if it survives here in Wisconsin, it will thrive wherever your compass leads. Rock solid dual hooks provide unmatched security, and never touches the bike’s frame. Brawny, yet lightweight – can carry up to 4 bikes of any type (190 lb total, with the two outer bikes not exceeding 35 lb each). Load 'em up! Crafted to haul a wide variety and combination of bikes, including those with wheelbases up to 50". Tilting feature allows access to rear of vehicle, even when fully loaded (your dog will thank you), and folds up when not in use. Functional, eye-pleasing design that looks good on any car and features integrated locks, reflectors and of course - a bottle opener. Carries 4 bikes (60 lb/bike in trays closest to vehicle; 35 lb/bike for second two trays). Adjustable arms and wheel trays fit almost any type of bicycle, including those with fenders, mountain bikes and ebikes; bike spacing accommodates widest combination of bicycles. Integrated locking cable to secure bikes to the rack. Includes locking hitch pin to secure the rack to the hitch. Tilting feature allows access to rear of vehicle, even when fully loaded, and folds up against car when not in use. Features the smallest profile of any 4-bike car rack on market. Branded decals that are sleek, discrete and reflective. For use with 2" hitches only. This rack fits a wheelbase of up to 48" right out of the box. 1 1/4" or 2" 2" 1 1/4" or 2" 2" 1 1/4" or 2" 2"